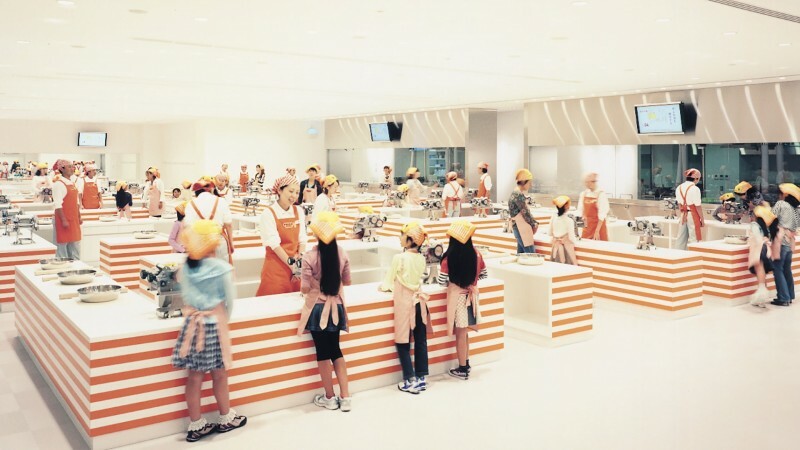 Make Chicken Ramen by hand in the factory. Enjoy the entire process of kneading, spreading, steaming and seasoning the wheat flour and drying it with the flash frying method. Create your own completely original CUPNOODLES package, which is unavailable anywhere else in the world. For the cup that you design, select your favorite soup from among four varieties as well as four toppings from among 12 varieties. 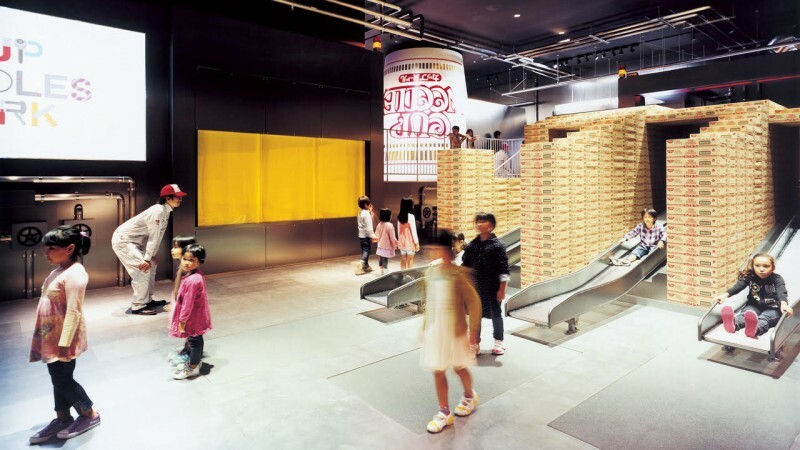 The huge athletic facility offers the virtual experience of being a noodle in a huge factory, and going through the entire manufacturing process from making the noodles to shipping them. An astounding quantity of packages shows how instant noodles, which started with Chicken Ramen, grew into a global dietary culture. MOMOFUKU TV uses CG animation to tell the story of how Momofuku Ando overcame great adversity to achieve globally significant inventions. 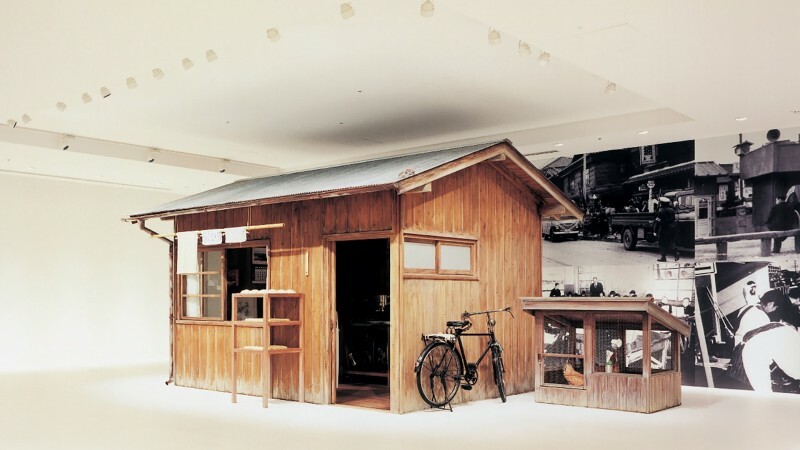 This is a faithful recreation of the work shed where Chicken Ramen, the world’s first instant ramen, was invented. 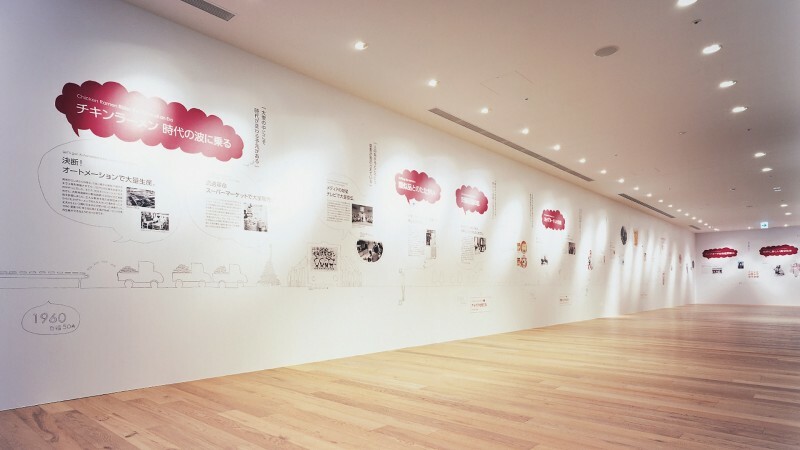 The essence of Momofuku Ando’s words, thinking and action, is summarized in six keywords and expressed in a new style of modern art. 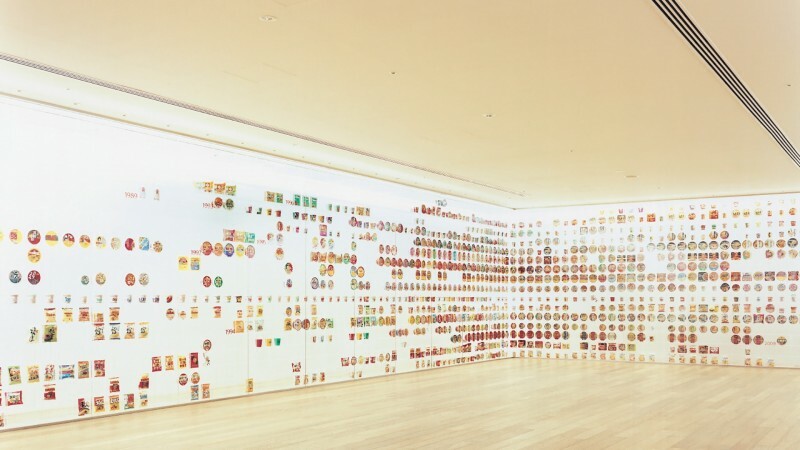 By combining images from his life and times along with endearing illustrations, an expansive 58-meter- long panorama guides you through the life of Momofuku Ando that was dedicated to the creation of new food. 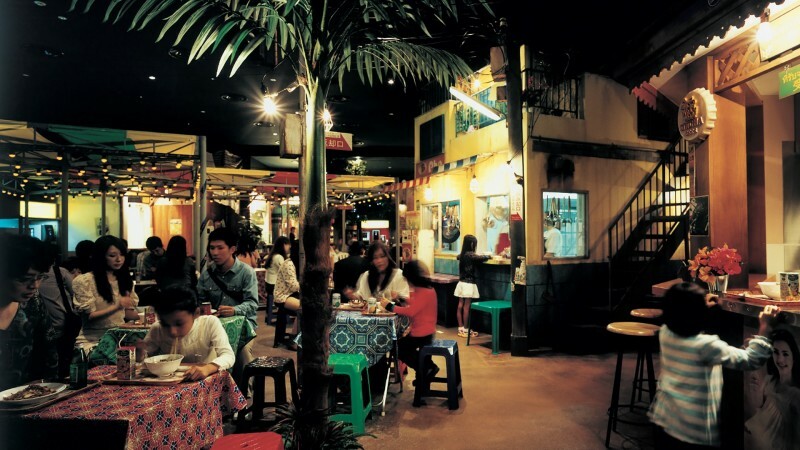 At this food attraction, taste many different kinds of noodles from around the world like Momofuku Ando did while traveling the “noodles road” in search of the origins of noodles. 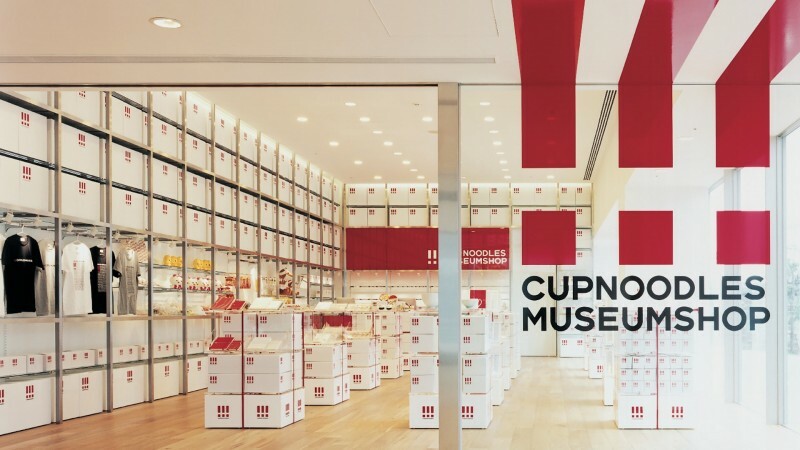 The shop features original goods from the CUPNOODLES MUSEUM and other items related to instant noodles. Many of the limited items in the shop are unavailable anywhere else. In a window display, 4,000 marbles slide along a course that is made to look like a factory. Enjoy the speed of the sliding marbles and the numerous gizmos along the course. 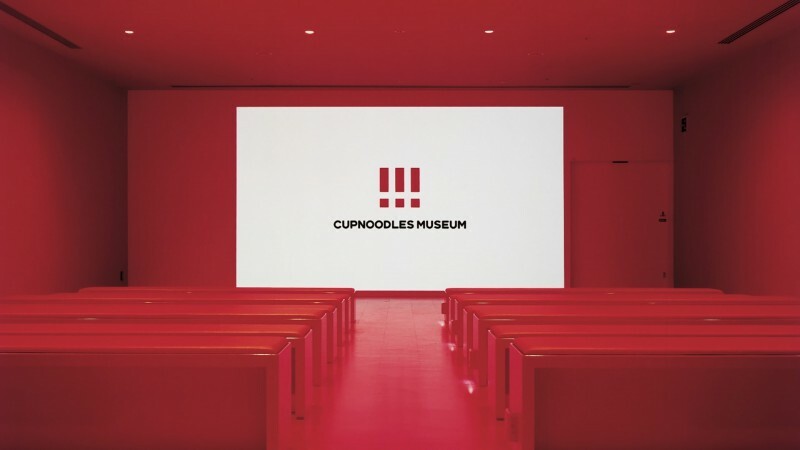 We proudly announce the launch of our new CUPNOODLES MUSEUM Audio Guide App, which is sure to enhance your experience! By simply downloading the app to your smartphone, you’ll get access to audio and text that provide highlights about our exhibits and attractions. Select your language and download the audio file. Turn on the GPS and Bluetooth settings on your smartphone. 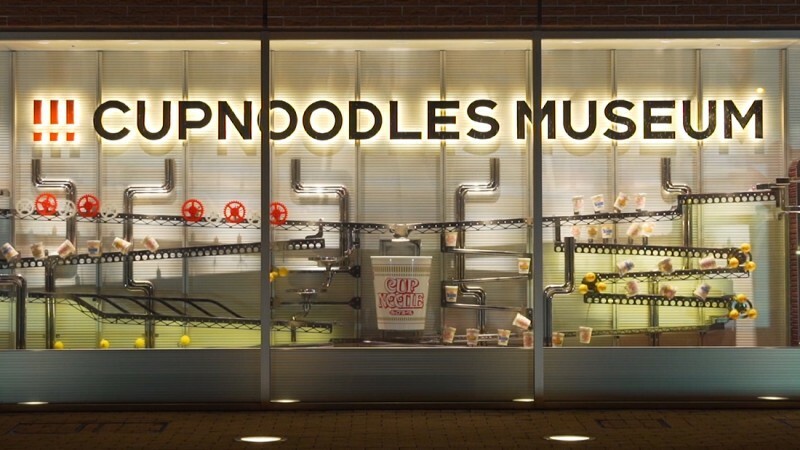 Open the app at the CUPNOODLES MUSEUM Yokohama. You can read the explanation text provided in the app anywhere. 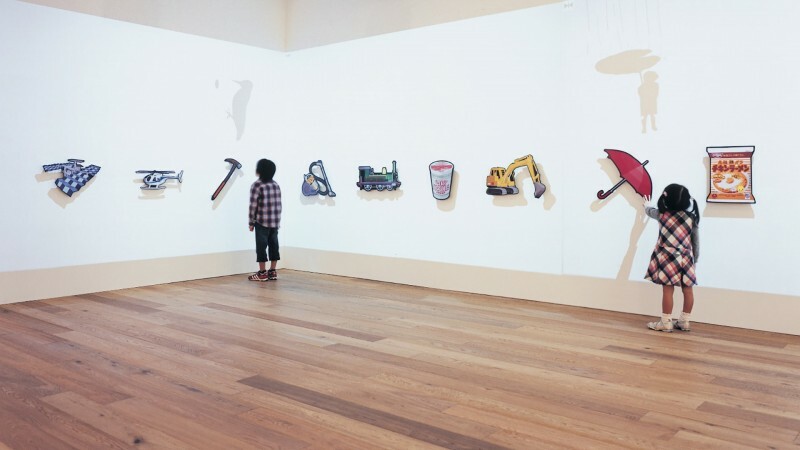 However, the audio guide can only be accessed when you are visiting the MUSEUM. Due to the large data size, we highly recommend using Wi-Fi connection when downloading the app. Walking while looking at your smartphone is dangerous—not only to you but to those around you. Please exercise extra caution and pay close attention to your surroundings when using the audio guide app. For those who do not have a smartphone, we have audio guide devices available in English, Chinese, and Korean. If you’d like to rent one, please stop by the ticket counter on the first floor. For further details, feel free to ask our staff. My CUPNOODLES Factory will introduce shell ligaments, a new seafood topping! Available for a limited period only! 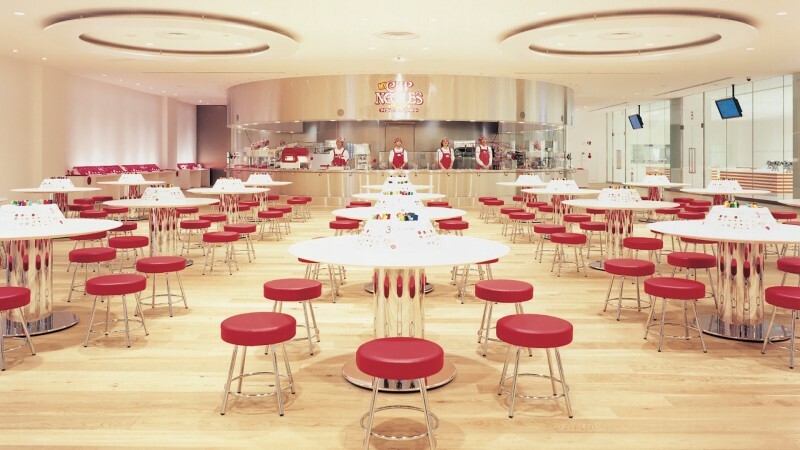 My CUPNOODLES Factory at the CUPNOODLES MUSEUM in Yokohama is proud to introduce our new topping, shell ligaments! This seafood topping is sure to enhance the flavor of the soup, with its rich flavor. Be sure to try it out!